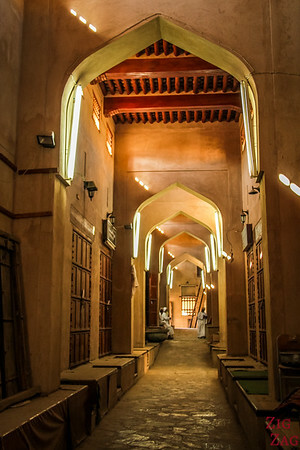 Exploring the Nizwa Souq Oman is one of the top things to do in the Sultanate. 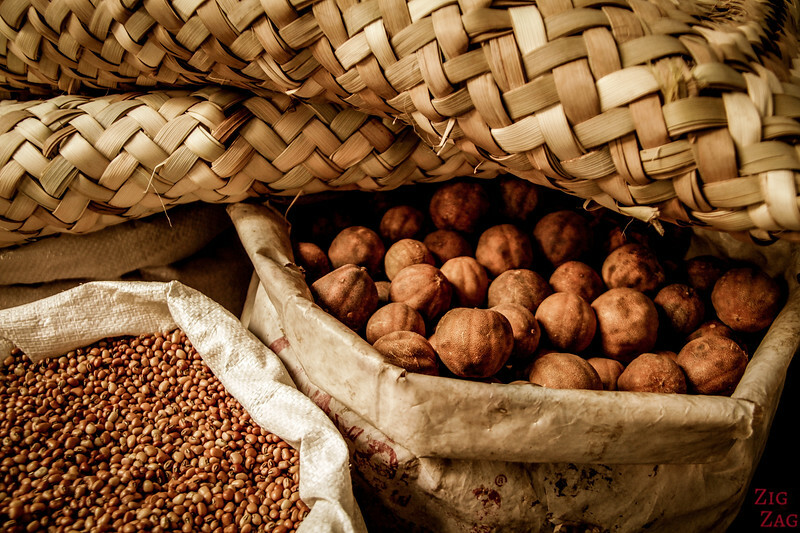 It is one of the oldest markets in the country and you will find fruit, meat, sweets, pottery, souvenirs and antiques... there is a lot to discover as you stroll through in the middle of the locals. 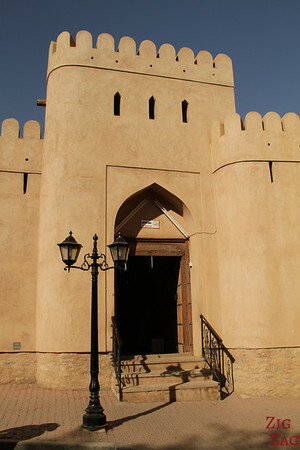 And don't forget to visit the Nizwa fort right after! 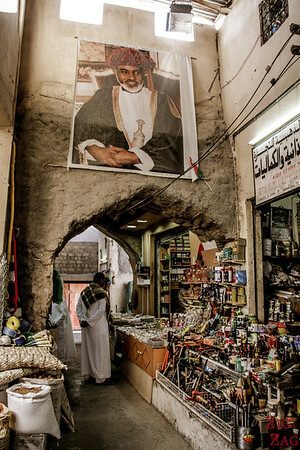 Beside the Muttrah Souq in Muscat, the Nizwa Souq (some write it Nizwa Souk) is the other main Omani market. Personnally I enjoyed it better than the one in the capital city, especially when you walk away from the souvenir part of it. ​Plan some time to really explore all the corridors and the different sections: the very modern vegetable markets, the sweet shop and the non-restored section to the east. Don't forget to cover your shoulders and knees. 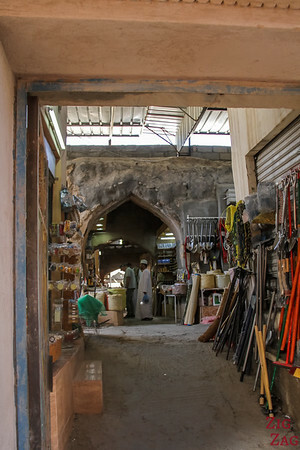 Many locals shop at the Souq. 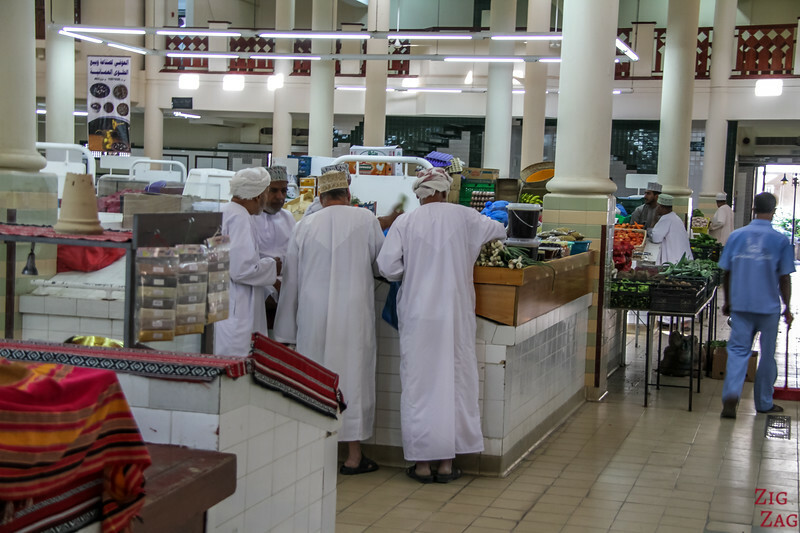 On Friday Mornings, the place next to the Souq filled in with people from the region who come to sell goats, cows, sheep and other animals. Nizwa silver craft is considered the best in Oman. Don't forget to discuss the price. 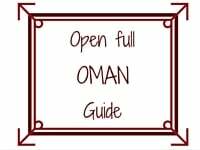 and make the most of your time in Oman (including clear maps and GPS coordinates of all sites). 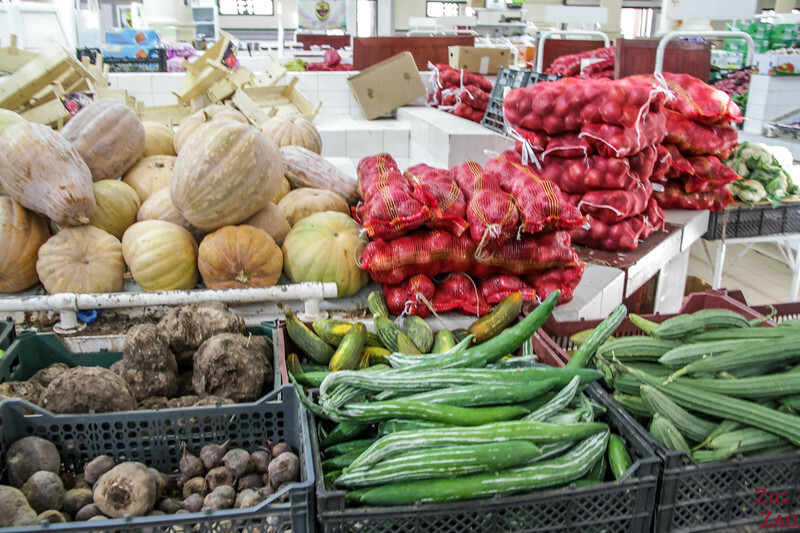 The fruits and vegetable section of the Souq is modern with a wide room and white clean settings. It was not vey busy when I walked through. Like Shery from OttsWorld, I was surprised to see only men shop for food. But it is customary in Oman. However the women cook in general. I always love watching fruits and vegetables in different countries, it is intriguing with new shapes and colors, different ways of presenting and packaging. Deals happen also outside of the walled market area, at the back of trucks. The East Souq remains for the moment unrestored. This is where you can see what it was really like before. 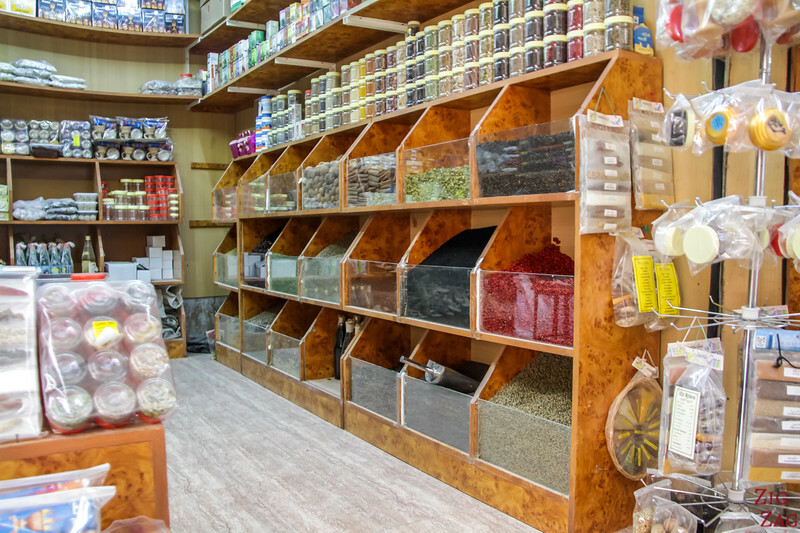 It is of course messier and you wonder how everything is holding on, but the stalls are way more intriguing with mixes of spices, nuts, household products etc. See the arches, don't you think it might fall on you? Those places are always inspiring for photography, but the lighting is not always helping. 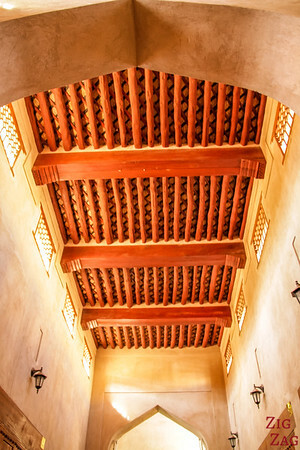 I also entered corridors that seem to be within the wall of the Nizwa fort and were well restored. The roof was traditionnally decorated with wood. Owly few vendors were opened. 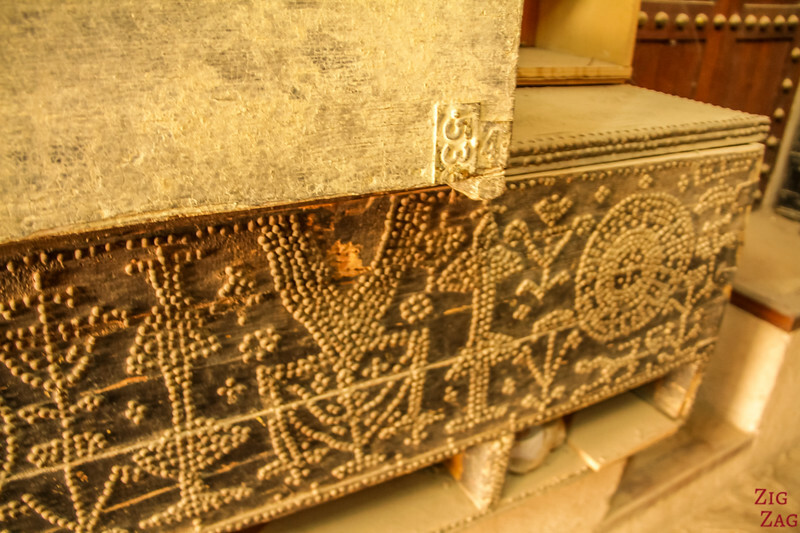 I think it was the antiquieties section because there were old coffers with detailed decoration. I really liked the mood of this section with the light coming from the top. 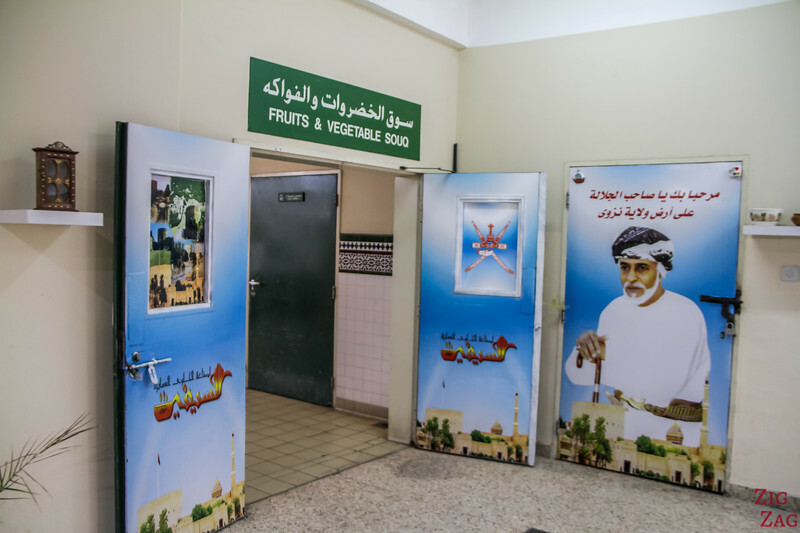 This is the reason why I prefered Nizwa to the Muttrah Souq in Muscat. 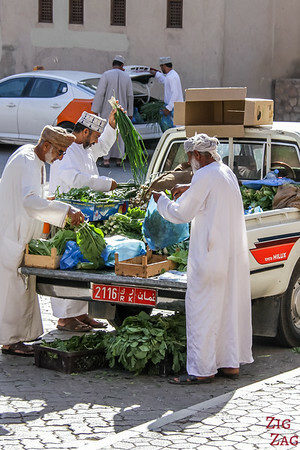 As I said earlier, every Friday mornings, people gather near the Souq to sell like stock. 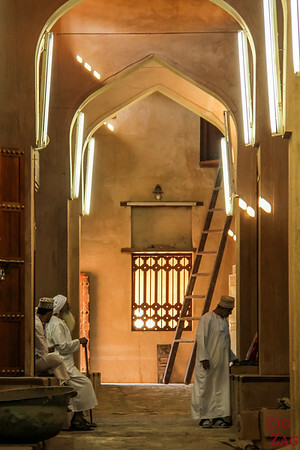 I was not there on a Friday, but check out this video from Times of Oman about the Nizwa Souq. The second part shows you how busy the weekly animal market can get. You can also check Cat Bird Woman's article with photos and a short video​. If you are interested in animal markets, I saw a nice on in Karakol, Kyrgyzstan​. 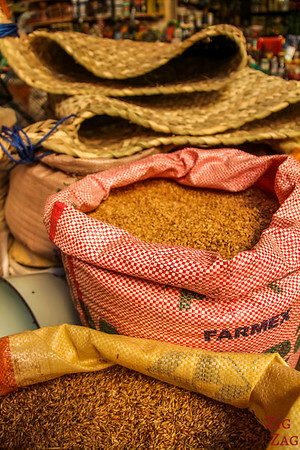 Do you like visiting markets?